Klinedinst attorneys Natalie Vance and Betsy Kimball were named 2018 Top Lawyers by Sacramento Magazine. The annual Top Lawyers feature recognizes attorneys in the Sacramento area for their dedication to their clients, and their commitment to the legal profession. SACRAMENTO, CALIFORNIA – Klinedinst is pleased to announce Sacramento attorneys Natalie Vance and Betsy Kimball have been named 2018 Top Lawyers, and will be featured in the August 2018 edition of Sacramento Magazine. Ms. Vance, who serves as Managing Shareholder, helped launch Klinedinst’s first office in Northern California back in 2004. 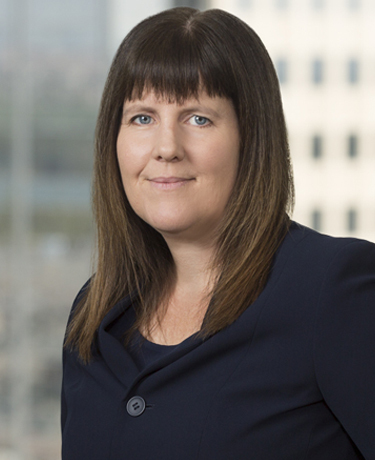 Ms. Kimball is a Senior Counsel who is very active within the Sacramento County Bar Association, serving as Editor-in-Chief of SCBA’s monthly publication, Sacramento Lawyer. Attorneys featured in the 2018 Top Lawyers list are singled out by their peers for their reliability, professionalism, and commitment to the legal profession. Sacramento Magazine uses a peer nomination process conducted by Professional Research Services to determine the leading attorneys in 56 legal specialties. Nominations are sent to all licensed, practicing attorneys in the region. Each nominee is carefully evaluated on the basis of the survey results, and attorneys who receive the highest number of votes in each specialty are reflected in the annual list. Ms. Vance represents professionals and business entities in matters involving to professional malpractice, employment, and business disputes. As part of her practice, Ms. Kimball represents clients in appellate matters, legal malpractice litigation, liability loss prevention and disciplinary matters, and business litigation. She also provides counseling in the complex arena of legal ethics.